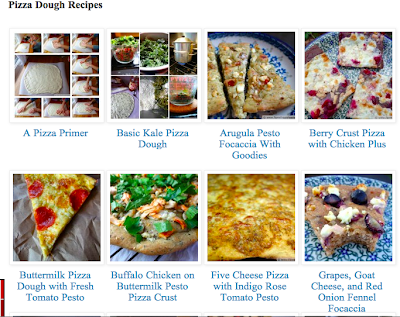 There is no recipe in today's pizza post. If you came here looking for your weekly pizza fix--thank you, thank you, thank you. I really appreciate that you took time out of your day to come here to my blog! I decided to take my slowly-growing html skills and try and tackle a Visual Pizza Recipe Index. I mean, who has seen my first ever pizza post? [Thanks, Mom, Felicia, Heather, Debbie, Sue . . .] I don't create these things so that they can be buried in the blog. I'd like someone to say 'hey, I've got spinach and leftover turkey, can I make a pizza with it?' and be able to search for ideas here as well as Google. I broke this index down into four categories. 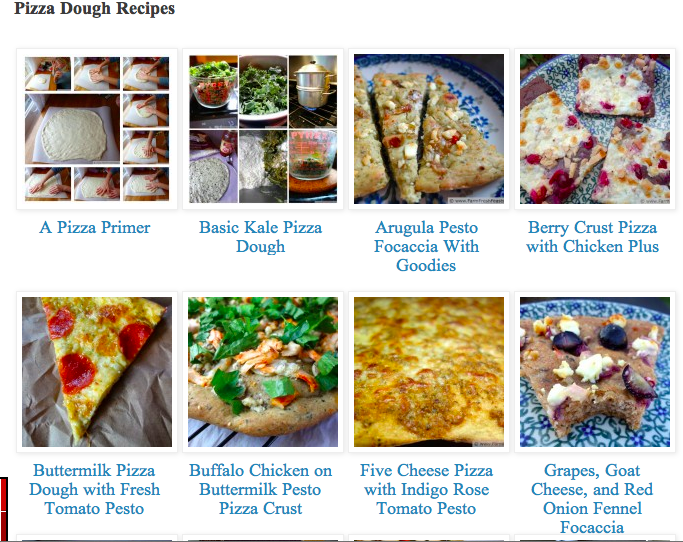 I've got recipes for pizza doughs (from the rather plain 'buttermilk' dough to the exotic 'beet' dough). 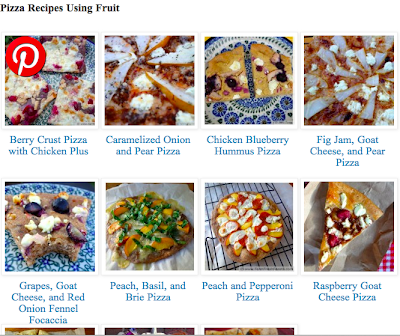 I've got recipes for pizzas with fruit (interestingly, what some would say is the typical pizza fruit, pineapple, does not appear in this category--yet). 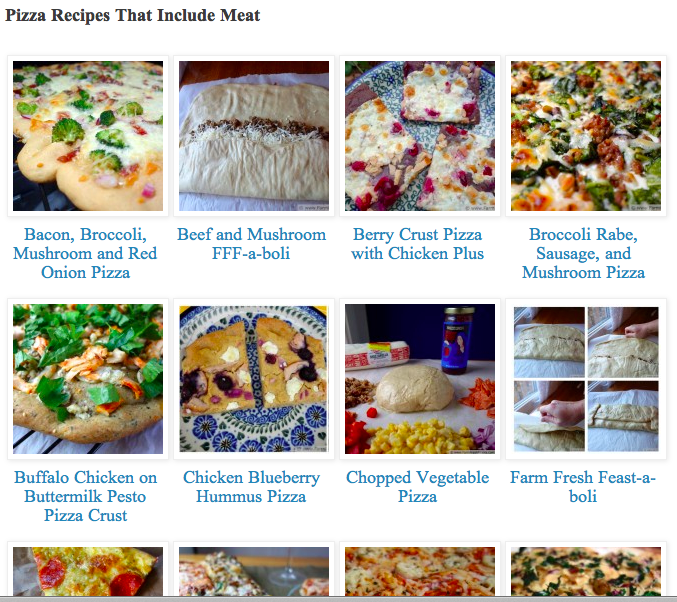 I've got recipes for pizzas that include meat toppings (and my lovely little fishies too). 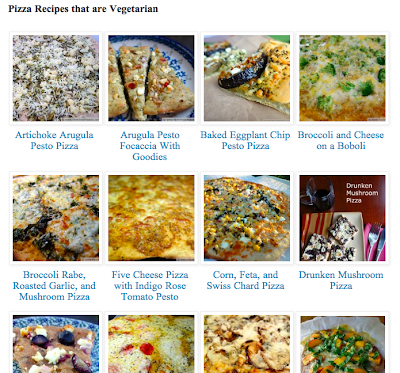 I've got recipes for pizzas that include no meat (or optional meat). Enough teasing with the screen shots, though I do appreciate my kids teaching their old mum how to take a screen shot. 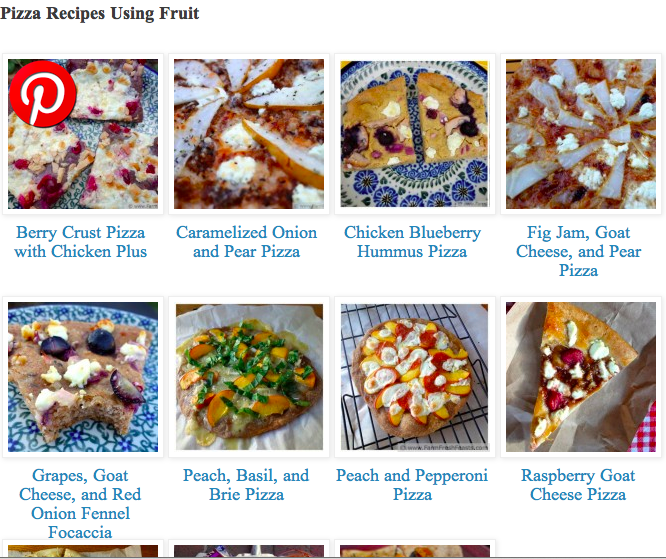 Here's where to find the Visual Pizza Recipe Index! And I'll leave you with one of my spouse's favorites from the past year of pizzas: Turkey Spinach Pesto Pizza. Oh, please think of this one if you have leftover turkey this fall--it was really yummy and my spouse talked about it for quite some time, wishing that I'd make that one over again. Perhaps when he returns I'll humor him, but I doubt it since, hey, always a new pizza on the horizon! 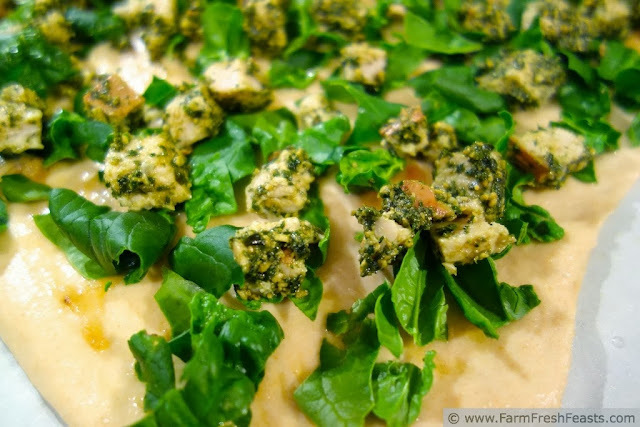 This is shared with the From The Farm Blog Hop, Clever Chicks Blog Hop, Wednesday Fresh Foods Link Up, What's Cookin' Wednesday, and What's In The Box. I love it. It looks great and I can only imagine how much work actually went into this. Quite frankly, I covet your recipe by index catalogue and would do the same myself, except that first step seems a little daunting. One day. Sigh. Good luck tomorrow; I'll be rooting for you. You know all you've got to do is take the first step, right? That applies both to walking half marathons in the rain and adding recipe links on inlinkz.com . 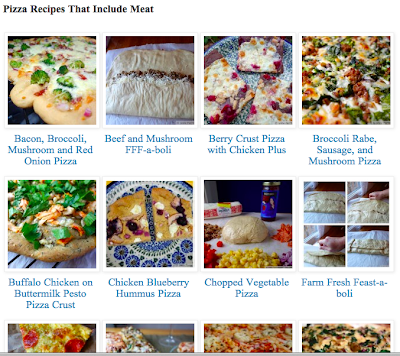 And kudos on 52 pizza recipes! Actually more, because I know there were some weeks you posted more than one. Epic, as my son would say. I don't know about great resource, but it does make things more tidy for me, and that makes me happy. Tidiness on the blog = good. In the house . . . . well not so much. Nicely organized, Kirsten! All looks delicious...eventually I'll be back on grains and flour and I will start tackling some of the earlier ones you've posted before I subscribed to your blog. I've clearly missed out on some excellent combos. Thanks for the kind words--much appreciated! This post makes me happy because it's the gift that keeps on giving :) You go girl! The gift that keeps on giving . . . me extra work each Friday to update it. . .